​​Evaluating where, when, and why species overlap across different spatial and temporal extents is fundamental to understanding direct and indirect interactions between predators and prey. Eastern Washington has diverse predator and prey populations including cougars, bears, wolves, white-tailed deer, mule deer, elk, moose, and a suite of mesocarnivores. 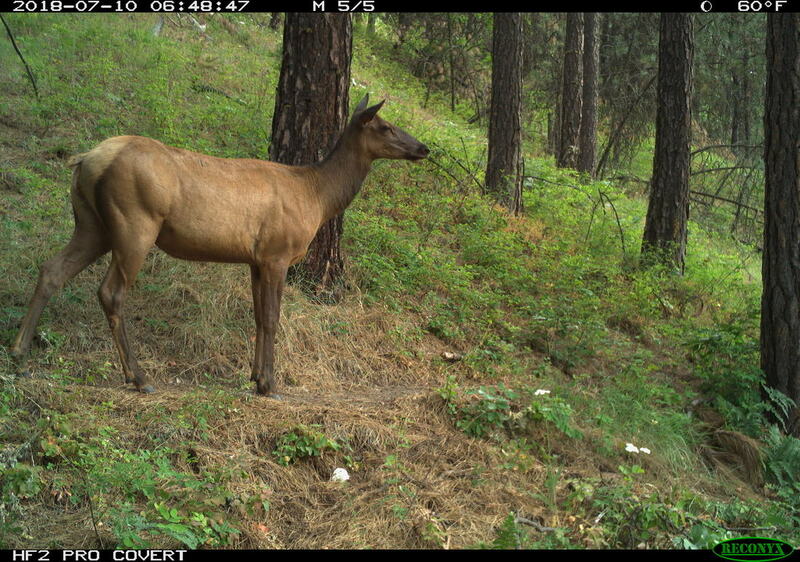 We are deploying over 100 trail cameras across the Predator-Prey Project study areas with the goal of photo-capturing ungulate and medium- to large-bodied predator species in Eastern Washington. To date we have detected all focal species of interest as well as numerous other species. With these photo data, we will use occupancy models and other quantitative methods to estimate probabilities of species co-occurrence, daily activity patterns, and times-between-detections of co-occurring species.